Large dabbling duck. Male easily told by dark greenish head, yellow bill, and brown breast and grey body. In flight see grey wings, dark blue speculum distinctly bordered by white, and white underwing coverts. 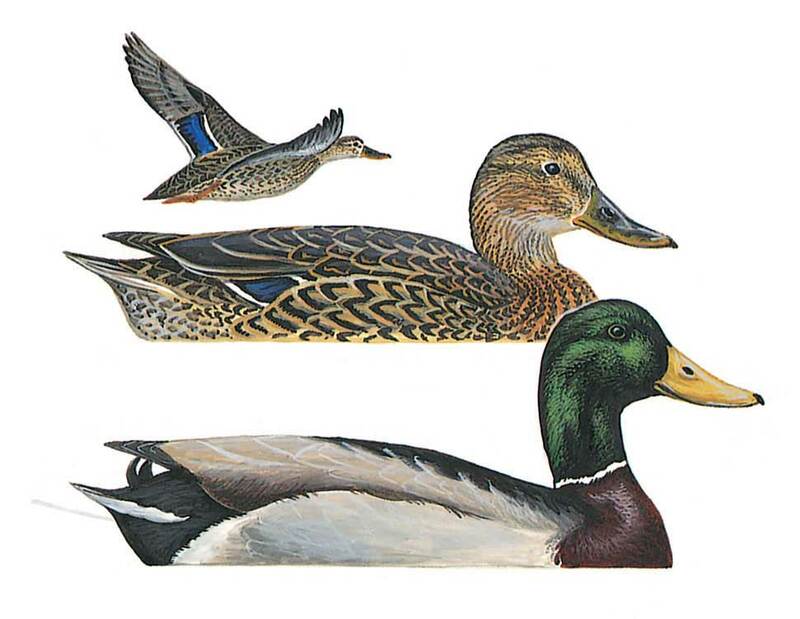 Female is mottled brown like other female ducks and told mostly by size, bill shape, bill colour, and wing pattern. Differing to Gadwall by mottled brown belly, to Pintail by structure and to Teal and Garganey by size. Male in eclipse resembles female but has greenish yellow bill.